Your village was cruelly raided by bandits! Start as a humble warrior’s son and become a talented commander of your army. Various warriors will join in your cause – archers, scouts, healers, footmen, arbalesters and more. 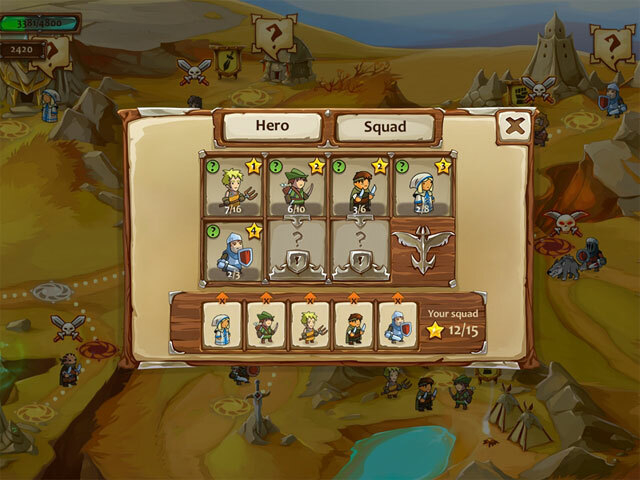 Command your troops and defeat enemies in hand to hand battles! pippi wrote: I trialled Braveland and found it to be cute and fun. I'd call it an "adventure lite" game - kind of a questing game for the super casual game market. It was a nice change from the TM and HOG games normally featured. So I supported it - IMO variety is a good thing, and the game played well,, had decent graphics / game mechanics, and was enjoyable. If you enjoy those types of games, it's worth a peek. Your wish is my command~! Genki - I don't know how you keep up with all you do. It's really amazing. 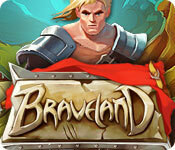 Braveland is not the typical hidden object or time management game offered here at Big Fish. It is a cute, light adventure quest type game. 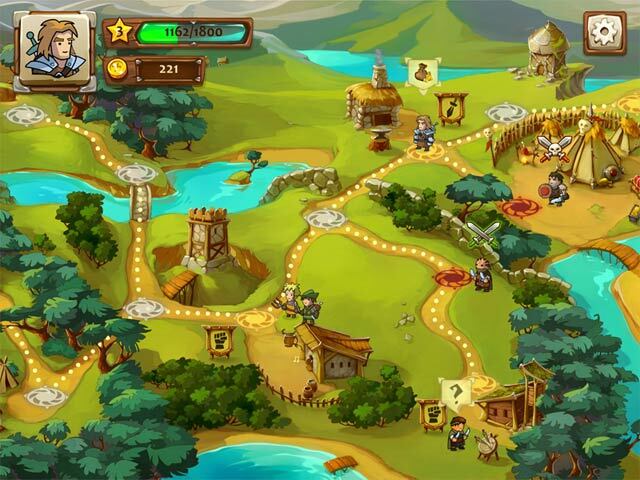 Your village has been plundered and you set out to recruit heroes to join your quest to defeat the bandits behind the theft. As you play, you'll increase the types of warriors in your party, acquire treasure, level up, and face increasingly difficult to defeat foes. Of course, the plot thickens, and there is more to the game than simply routing a few hungry bandits. It's a delightful change of pace. My only concern is the length of the game. The description says 50 battles, and I flew through roughly half of them during the one hour demo. 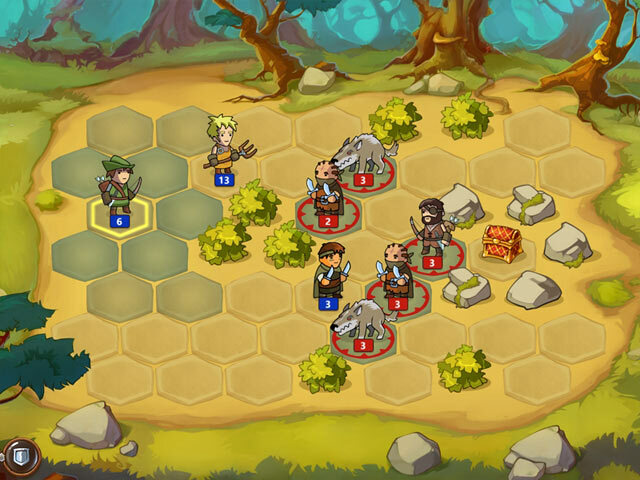 However, there are three levels of difficulty, and the harder levels present the need for different battle strategies. From that perspective, there is the opportunity for 3 distinct playthroughs. Another reviewer also liked the game but stated that it is WAAAY too short. However, it says "end of book 1" after you fly through what you thought was just the beginning of the game, so perhaps they will update the game and add new levels or perhaps they will make a longer sequel. I always like to support games that go beyond BFs staple of easy-peasy hidden objects, time management, and their new obsession, the dreaded Freemium stuff. Therefore I'm going to use a PCC to get this game. Once I play it through, I'll give a more detailed review if anybody is interested. Cool~ Yes, of course I'd love to hear your thoughts on the full play-through. It kind of sounds like an RPG-lite.